Since this was my first time in Oahu, I wanted to share a few tips and tricks that I learned along the way. Ready? Let’s go! 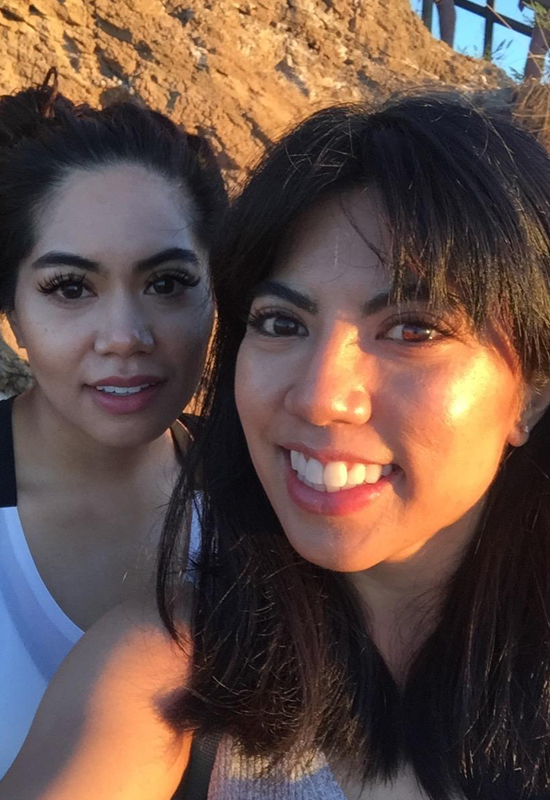 My family and I wanted our first time in Oahu to include all of the tourist points but also have time for hikes since we enjoy being outdoors. Touristy stuff tends to be more expensive so we ended up buying the Go Oahu card through Costco. You have the option of buying the card on the Go Oahu website, but buying it through Costco gives you the option of a having the pass for a 4th day. At $154.00, it’s a great deal! The card also has a list of every popular attraction and hike so it’s a great way to plan your day. We mapped out each attraction we wanted to see and created an itinerary based on proximity of each attraction to each other. 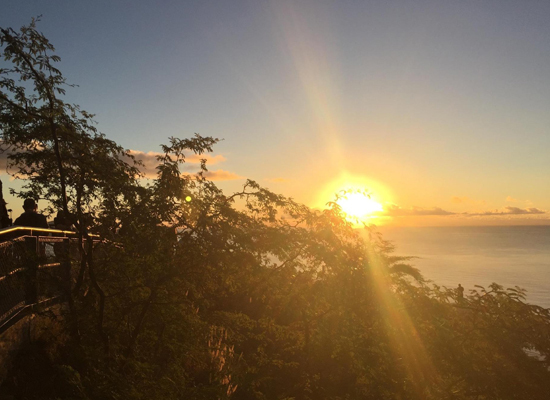 The Diamond Head Hike is the most popular hike in Hawaii at 1.3 miles, it’s considered a moderate to easy hike. It’s paved and there are clearly marked rails on either side. We did an early morning tour that met at 6:30 to catch the sunrise at Diamond Head, thinking it would be less crowded. It’s actually pretty crowded, and you take your own pace, but be mindful that the crowd is moving at pretty quickly. There are two paths you can take. There’s the easier route, which is more of a gradual incline, or you can take the other path which is steeper with more steps and a sharp incline. 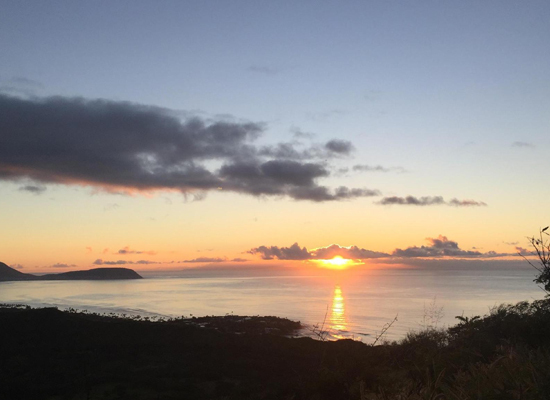 To watch the sunrise at the top of Diamond Head is a beautiful experience. 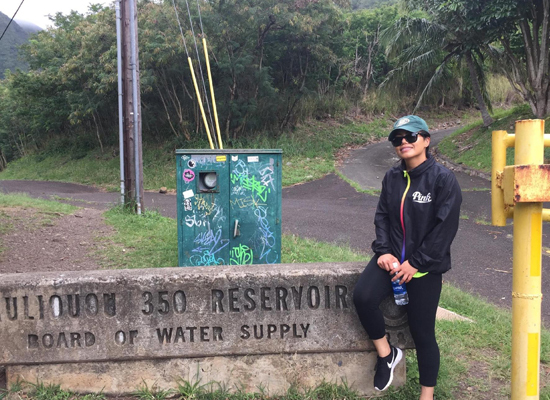 We also did the Kuliouou Ridge Hike, a 5 mile hike that offers a lot of switchbacks and an opportunity to see the ever changing greenery of Hawaii. It’s considered a moderate to easy hike depending on which trail you take. With the valley head trail being the easier of the two. We probably went 2 miles in before we started heading back. We also weren’t prepared for the mosquitoes! It’s set pretty deep into the valley, and we were getting bitten so much that we had to turn back. Lesson learned: don’t forget your bug spray and sunscreen. 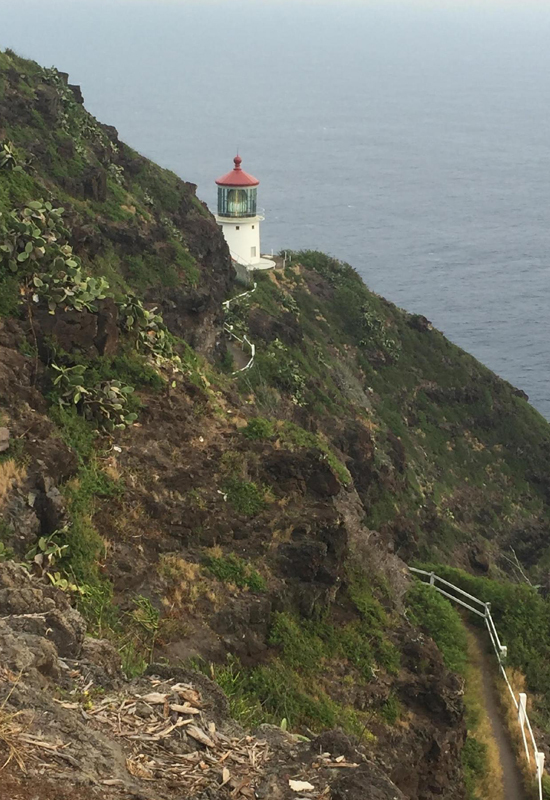 The Makapuu Lighthouse Trail is a quick 2.0 mile trail considered easy to moderate. It does get pretty high up there with an elevation of 500 ft. But the trail is paved and the elevation is a pretty gradual rise until you get to the top. The view of the ocean are spectacular, and you get to see some old military pillboxes. The lighthouse is visible but unable to get to, due to a fence protecting the path. The Polynesian Cultural Center is a themed park in Laie, Hawaii and is a must stop for first time tourist. The center has 6 different areas to visit: Hawaii, Samoa, Fiji, Tahiti, Tonga, Marquesas Island and Aoterora or what we call now “New Zealand.” Each of the islands have their own cultural themes and activities. These include movie theaters, fire throwing, palm tree weaving, a show with a boat ride, and canoe rides. We wandered around for a bit waiting for the luau to start. 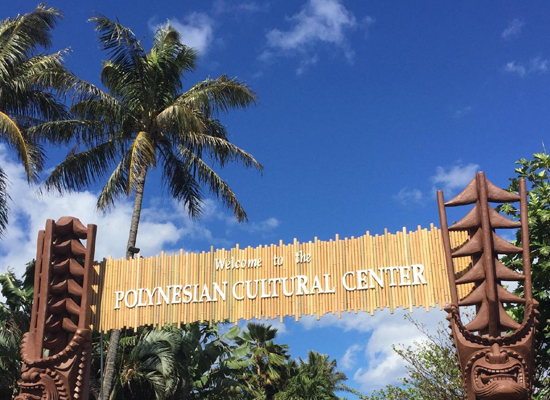 If you want to experience a luau and a chance to visit the PCC to explore the villages, I would suggest making the PCC a whole day affair. 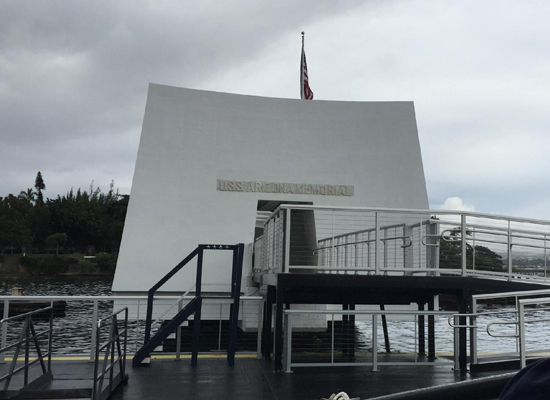 We went checked out the USS Arizona, and the site of Pearl Harbor. 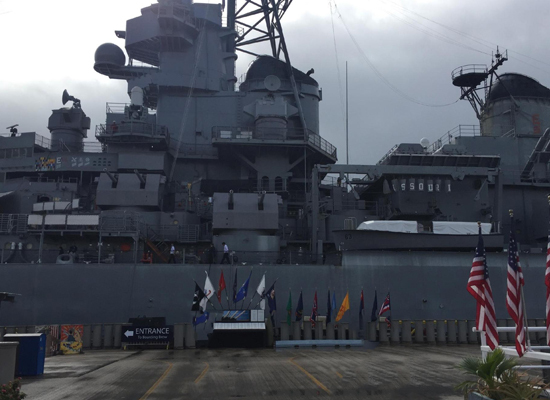 My dad was in the Navy and wanted to take the chance to pay my respects to site and take a moment to reflect on what happened at Pearl Harbor and to make sure we don’t repeat he mistakes of our past. It’s beautiful and haunting with the memorial of all the names of people lost. Make sure when you go that you should bring a small wallet sized bag. Otherwise, leave it in your car or rent a locker. They’re pretty strict about it. My sister and I have never been snorkeling and we thought what more a perfect place to try it then in Honolulu. We found this excursion through viator.com. It was a perfect first experience! We met our instructor Stephen at Ala Moana regional park. He was kind and patient, giving us a rundown of the equipment as well as tips for your first time. The area he picked seemed to be pretty popular spot for lessons as we saw other people taking scuba diving lessons as well. He provided the wetsuit, flippers, and snorkeling gear as well as taking go pro footage of my sister and I as we snorkeled amongst the fish. The area that we snorkeled was perfect for first timers as it wasn’t too deep. Stephen was great as an instructor, and we would definitely come back to try the scuba diving! 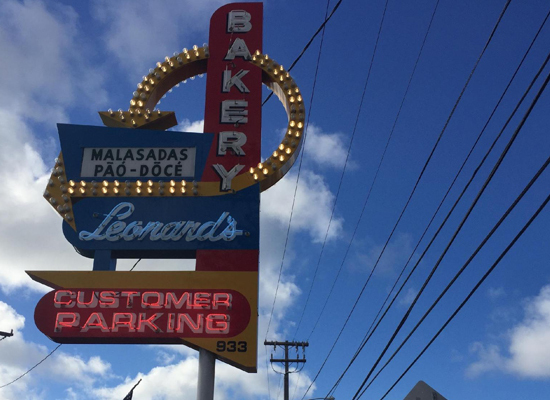 Leonard’s Malasadas is the spot for delicious made to order Portuguese donuts with various fillings. There usually is a line but it moves quick! Be sure to check out their specials. 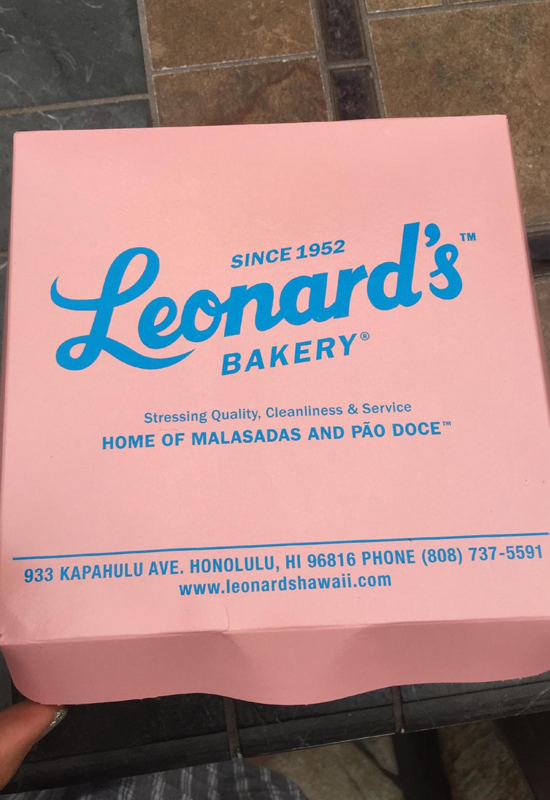 We loved the haupia custard filling. My family and I greatly enjoyed our first time in Hawaii. The things we did offered a chance to explore the popular sights of Hawaii. 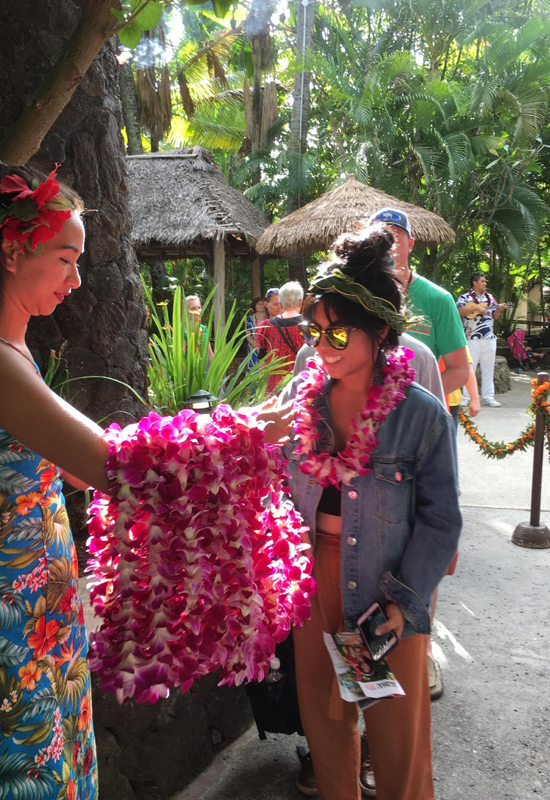 The Hawaiian hospitality was in full display during all our visit, everyone was friendly and quick to help advice on can’t miss sights and how to explore each attraction. One thing I would say is that Oahu definitely has some serious rush hour traffic so to maximize your time, clustering your attractions together would be helpful to cut your time sitting in traffic. Make sure you look at a map of the whole island to get an idea of where everything is to familiarize yourself with the layout of the island. Doing that before hand really helped us to plan our days so we could get the most out of each day. If it’s your first time in Oahu, I greatly suggest investing in the Go Oahu card. It really helped plan my trip so that I can relax and enjoy what Oahu has to offer.